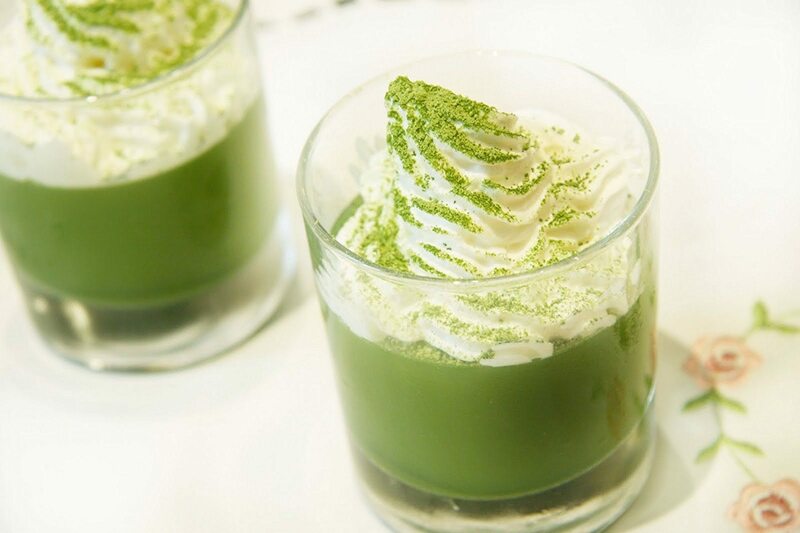 Recently, Matcha has taken a popularity storm in cafes across the globe. However, this incredible beverage sensation is not only trendy but also full of culture and excellent for your body. So what exactly is matcha tea? 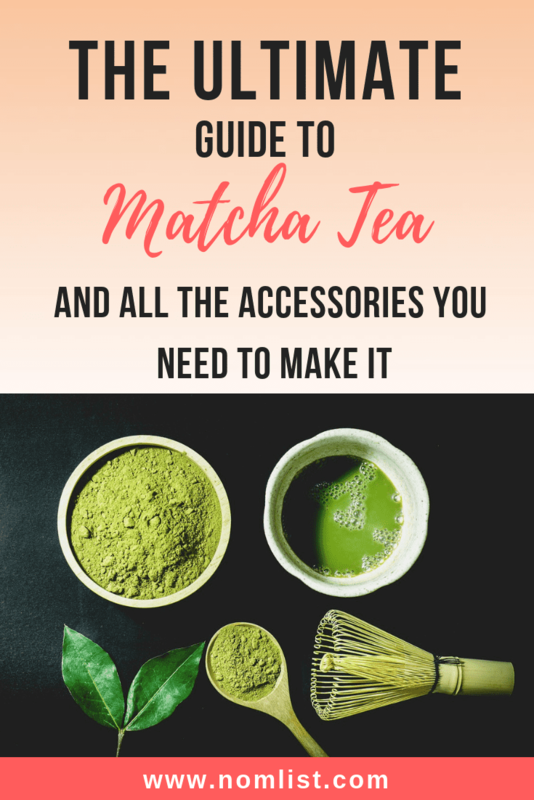 We did the research for you and provided you with the ULTIMATE guide to matcha tea with all the goodies you need to make it. Matcha ​or maccha is a finely ground, bright emerald-green teapowder. It is a natural, organic green tea which has been the heart of the famous Japanese tea ceremony for over 900 years. The Buddhist monks honored matcha tea as the ‘health elixir’ for its potential to heighten the concentration and enhance metabolism. 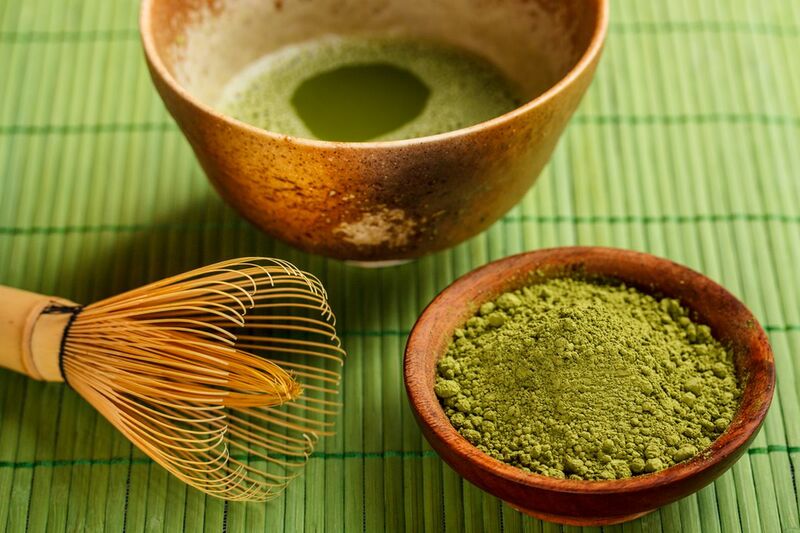 Originating in China in the 9th century, matcha was used as a drug for curing various ailments. However, its word somehow got elapsed in China. It was only after the Zen Buddhist monks from Japan realized its true potential at the end of the twelfth century, the perfection in the cultivation of matcha picked up. Matcha is still scarcely grown accounting for just 0.6% of total tea yield. Matcha is prepared from a high-quality shade-grown leaf known as tencha. The tea bushes are sheltered to avoid the exposure of direct sunlight which reduces the pace of photosynthesis and slows down the growth of plants. This provides the leaves with a darker shade of green and stimulates the production of chlorophyll and amino acids. Are you in need of the best matcha tea whisk on the market? Look no more, because we found it right here. This all-natural matcha tea whisk has no dyes, paint or finish. The unique color and patterns come form the purple variety of bamboo plant. Overall, we know you will love this whisk for your everyday matcha tea ceremony. Because of it's natural materials, high quality, and overall efficacy, you won't want to use any other whisk after experiencing this one. Looking for the best matcha tea starter kit? This ceremonial matcha tea set is perfect for the beginner matcha tea drinker. The Matcha tea ceremonial gift set is exactly what’s needed to start drinking a unique beverage with natural antioxidants and matcha tea energetics. The Tealyra matcha ceremony gift set consists of 7 pieces: 25g of CEREMONIAL Japanese Matcha Tea Powder, Chasen Whisk, Whisk Holder, Scoop, Sifter, Bowl and Tray. The set includes a stylish, beautiful Matcha bowl, which is perfect for tea, is included in our matcha tea ceremony gift set, which is made in Japan. It’s hard to find a more suitable material for the matcha whisk, scoop and tray than Chinese bamboo. That’s why our Matcha tea ceremony gift set includes a bamboo matcha whisk & scoop. In the end, this is the perfect tea set for starter matcha drinkers or even a gift for a family member! Are you the type that's always on the go? Now you can take your delicious matcha tea with you on your busy schedule with this matcha tea shaker. The Matcha Mi Shaker is made with BPA free casing and lid that allows for safe consumption. The stainless steal center keeps your matcha tea hot or cold on the go! Also, the unique and gorgeous design is a fresh take on shakers and mugs for a clean, sleek look that is sure to impress your fellow tea drinkers. After shaking up your matcha drink, simply remove the lid and use it as a cup! If you're the type that's always on the fly, this is the best matcha tea shaker for you! Believe us, this will change the way you drink your matcha tea. With 2 Bowls, you can make more matcha tea or teach a friend. Bamboo matcha tea whisk comes in a clear display tube. With the addition of the ceramic rest, you can prolong the life of your whist by maintaining it in good shape and preventing mold. The Bamboo Chasaku is great for scooping out the perfect amount of matcha powder while the bamboo teaspoons are great addition to have on hand. Large tray is great for holding everything together. Overall, this is the best matcha tea set on the market! It includes everything you need to make delicious matcha tea at home. If you're looking for the best matcha powder for smoothies, Vita Matcha is the powder for you. This product is a vitamin infused organic matcha powder that boosts energy, focus and enhances fitness endurance. Infused with vitamins A, D, C, E, B6 and B1, the added vitamins are 100% flavorless, natural and extracted from fruit sources. Also, the powder contains 137x the antioxidants of brewed green tea and a combination of caffeine and L-theanine. L-theanine enhances mood, improves memory, and increase focus and energy levels naturally. Vita Matcha increases the rate of thermogenesis and helps maintain a healthy metabolism to naturally support weight loss goals. In the end, this is one of the best matcha powders for smoothies because of the infused flavorless vitamins. Get "Coffee House" frothed milk at home in seconds with the MatchaDNA milk frother. Powered by 2 AA batteries (not included), the Matcha DNA Milk Foamer quickly turns your matcha tea into a smooth frothy foam in seconds. This handheld, battery operated matcha tea frother creates delicate foam for homemade matcha tea, lattes, cappuccinos, hot chocolates, and more! Not only is it easy to use, the Matcha DNA handheld electric milk frothers are super easy to clean. Your friends will be impressed with your latte, cappuccino, foamed coffee drink making abilities. So, stop overpaying for premium matcha drinks, or suffering with boring beverages at home. Get your Matcha DNA Product Milk Frother today. A stone monument bearing the inscription "Ko-Kutani kiln ruins" marks the spot where the Daishouji Clan (a branch of the Kaga Clan) established a kiln in 1655 to make use of the local porcelain stone. The porcelain work was called "Ko-kutani" and became the foundation for Japanese colored porcelain ware. Rich overglaze colors applied with fluid brushwork - green, yellow, red, purple and blue - give Kutani porcelain its characteristic beauty. This beautiful matcha bowl is made from this historical and artistic porcelain. The dimensions of the bowl are 2.5 inches x 4.3 inches, which is the perfect size for a delicious matcha beverage. Overall, this is one of the best matcha bowls on the market. We know you will love using this bowl! Organic Matcha has been shown to help (1) Increase energy levels (2) Help reduce stress and improve mental alertness (3) Support metabolism (4) Support immune system (5) Help the body cleanse of harmful elements. In addition, All Midori Spring Ceremonial Grade Organic Matcha is also GLUTEN FREE, GMO FREE, and contains no pesticides, soy, wheat of any kind. In the end, this is one of the best ceremonial grade matcha tea powder on the market. If you're looking for the best brand match tea powder, this is the brand for you. 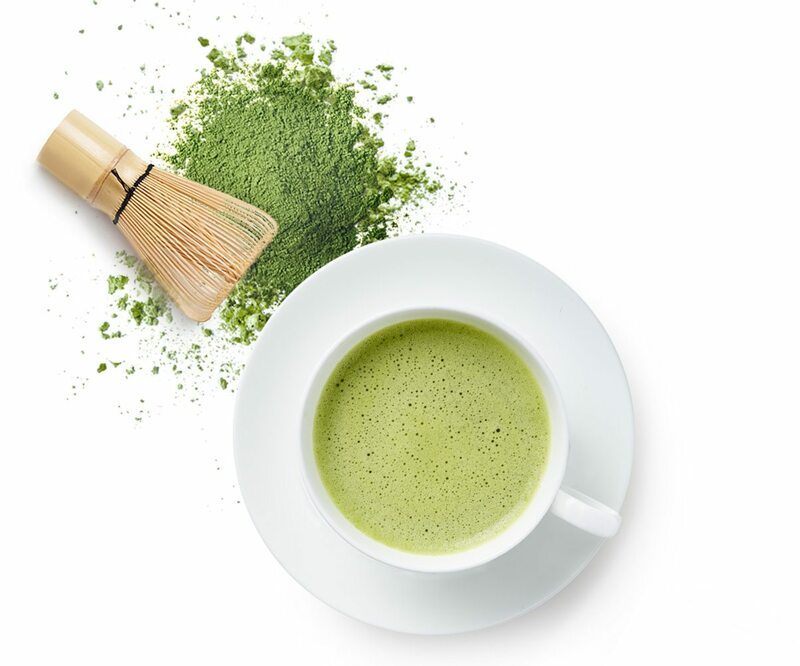 Kenko Tea makes some of the best organic matcha green tea powders on the market. Packed with 137X the antioxidants of regular green tea, this tea powder is no ordinary brand. Kenko Tea makes a superior quality of matcha, with hand picked leaves air dried and stone ground to order. Plus, the powders are made from USDA grade organic matcha. There are no GMOs and it's vegan friendly. By far, this is the best brand of matcha green tea powder on the market. Once you try this brand, you'll never want to drink anything else!